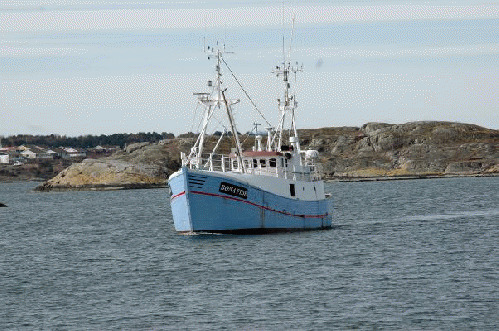 The fishing trawler "Marianne of Gothenburg" will leave Gothenburg, Sweden on May 10, 2015, to meet the Gaza Freedom Flotilla. The trawler, which has been acquired by Ship to Gaza Sweden and Ship to Gaza Norway jointly, departs for a voyage of almost 5000 nautical miles to eastern Mediterranean and the Gaza Strip which is blockaded by Israel. the illegal and inhumane blockade of the Gaza Strip. The "Marianne" will call at European ports for demonstrations against the Israeli blockade of Gaza. The first three stops on the voyage are Helsingborg, Malmo and Copenhagen. Subsequent ports will be announced in later press releases. other things, solar cell panels and medical equipment. demolished, solar cells will provide an opportunity to independent local production of clean energy. The sun cannot be blockaded. individuals will be announced as time progress.